Our Custom Two Font monograms are really works of art. 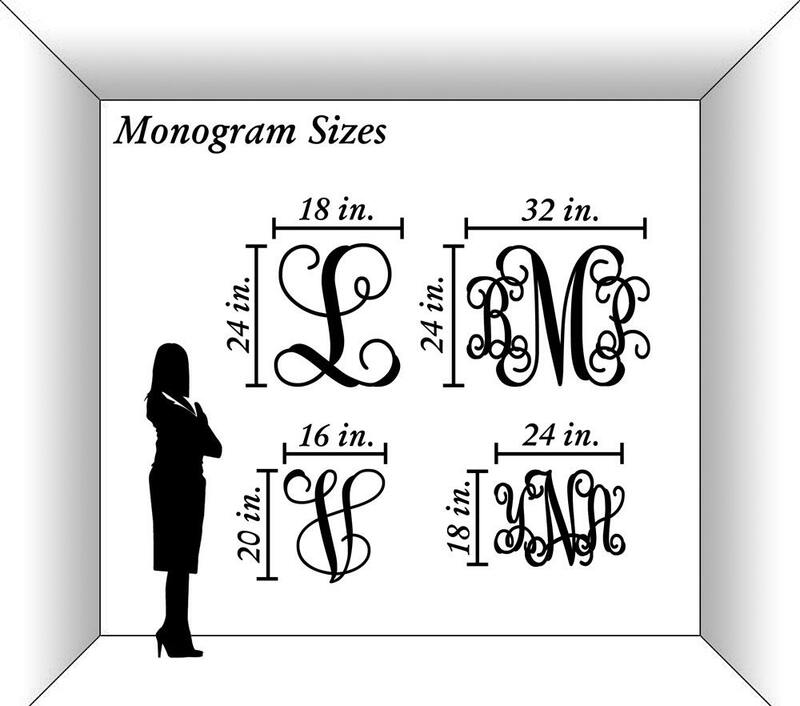 We not only use the computer program in our process of creating monograms, we manually editing each Monogram Art. If necessary, we extended or reduce some parts of the letters to make the letter more readable and create the most beautiful monogram. 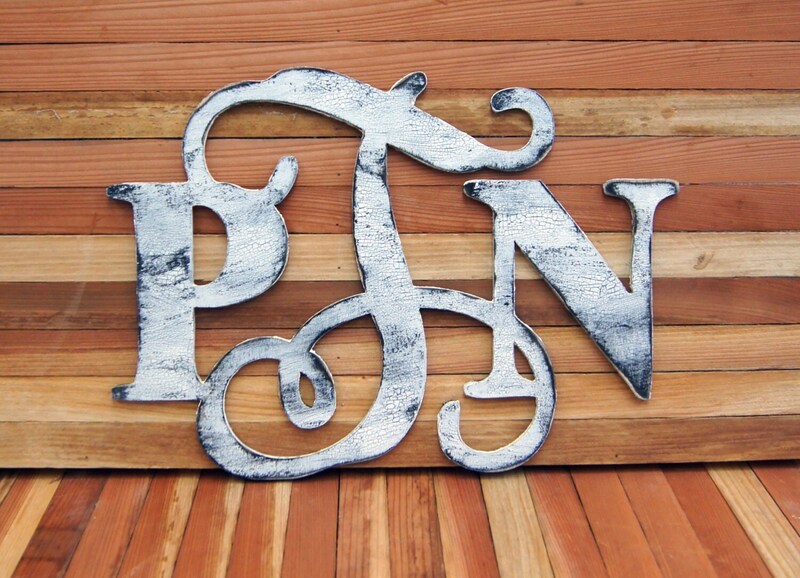 *This Monogram Comes PAINTED* in shabby chic Decorative painted stile. It is beautiful antiquing technique and required more handwork for best result. 3/8 or 1/2 thicknesses in Baltic plywood options are available. Contact us for slight price change. PLEASE NOTE: In the comments to seller box during check out - please let us know what letters you would like in the EXACT ORDER of how you want the letters to be created - from left to right: We do not require names and will not be held accountable if letters are submitted in the incorrect or an confusing order, and will not grant refunds or a return.